After closing suddenly in early February, Tijuana Showgirls (or should we say “Go Go Lady Boy”) has rebooted their venue, which drew crowds when it reopened on Friday March 20. With the Fringe season over, the popular Hindley Street club timed their re-opening perfectly, ensuring young Adelaidian party-goers didn’t go a weekend without a hot spot to get jiggy. “Go Go Lady Boy”, in their words, is the same same but different. Same: They have kept the best aspects of the beloved Mexican themed Tijuana Showgirls, including the slushies (HOLLA!) and relocated it to the small bar adjacent to the dance floor. Different: The underground joint is now Thai themed and decked out in fluoro paint. They have also invested in a ping pong table so be sure to have a hit, maybe the loser can buy the next round of drinks? 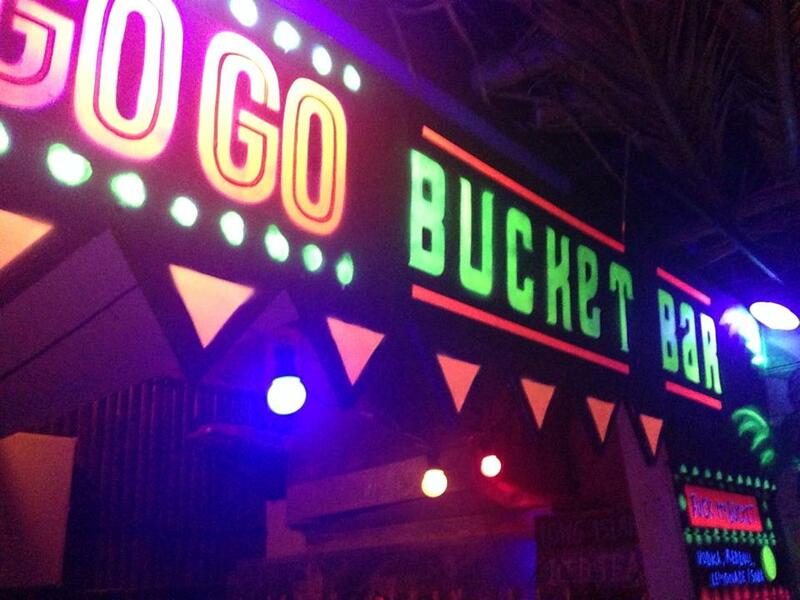 If you’re feeling thirsty, the Go Go Bucket Bar sells four delicious cocktail buckets for $20 each, which are perfect for sharing. 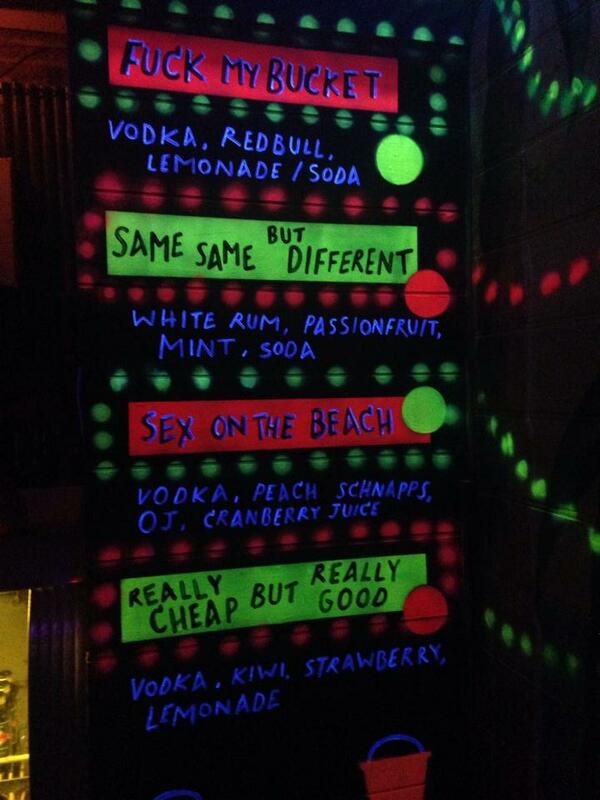 There’s also an exciting new menu of mixed shots, plus standard house drinks for those feeling less risqué. Go Go’s crowd is young and fun and the staff are legendary. So if you’re down for a memorable night, Go Go Lady Boy is the way to go go. Between rocking on the tiki-hut dance floor and slurping on your cocktail buckets, make sure to have a decent squiz at the themed décor, and a read of the witty boards on the walls – they will undoubtedly have you laughing. 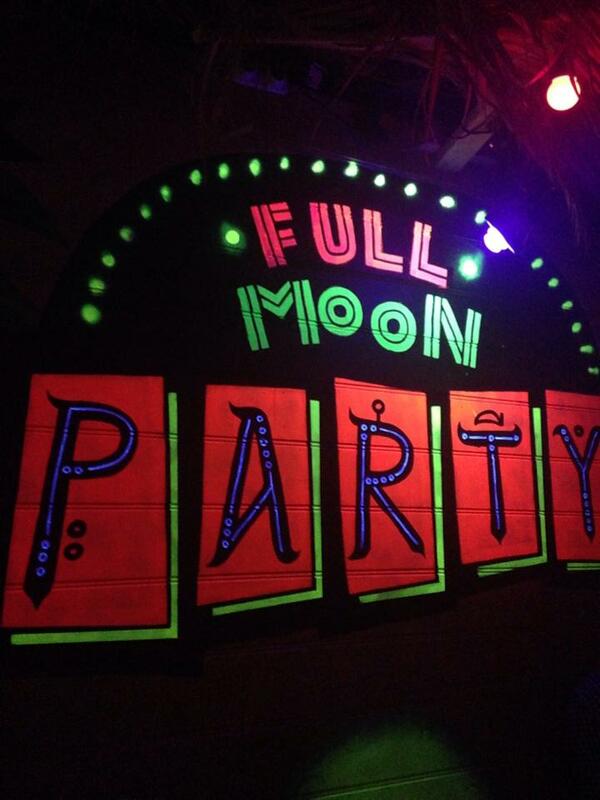 Like Thailand’s Full Moon Party, you’ll want to boogie until sunrise (or at least 3am), which shouldn’t be hard as the DJ’s mix between current tunes and naughties classics stays groovy all night. 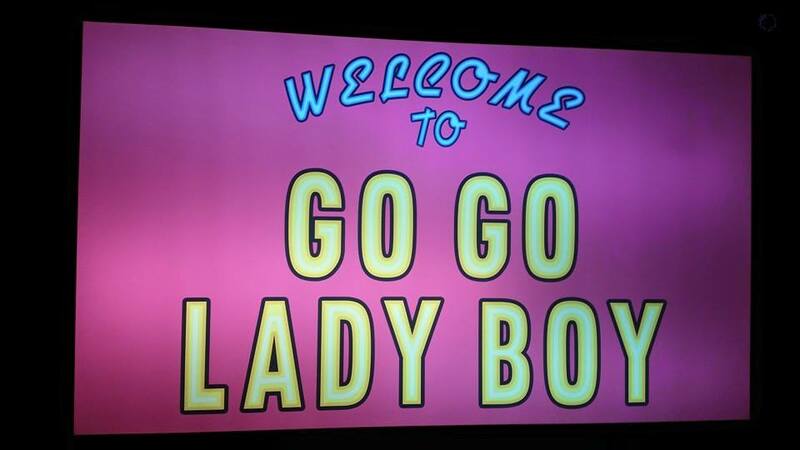 Go Go Lady Boy: Open Fridays and Saturdays, 9pm until 3am. GO GO have yourself a good time. Editor’s Note: This is an impartial review of a venue in Adelaide aiming to inform readers of the happenings inside the club. We are have no control or association with the name.